Every year, millions of dollars in damage is caused by residential fires and many lives are put in jeopardy–and even lost–due to unintended home fires. Nearly 80% of all fire-related deaths involve residential fires and in the U.S., a home fire occurs once every 79 seconds. Investing in a comprehensive fire protection plan can protect not only your home and your belongings, but the health and safety of your loved ones as well. 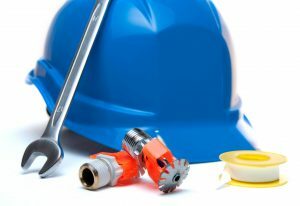 At Judd Fire Protection, your safety is our top priority. We make it our mission to save lives and protect property and we offer a wide variety of residential fire protection services in order to offer peace of mind in the case of an emergency. With over 24 years of experience in the industry, the team of experts at Judd Fire Protection have the skills needed to supply, install, and maintain the fire protection equipment that your home needs. We work with clients throughout Northern Virginia, West Virginia, Baltimore, Westminster, Maryland, Delaware, and Pennsylvania. Did you know that automatic fire sprinklers installed in private homes are proven to reduce fatalities and minimize property damage? Concealed behind your walls and ceilings, the pressurized water in the pipes is ready for action every minute of the day, all year long. The sprinklers are triggered when heat from the fire reaches a specific degree. Only the sprinkler(s) closest to the fire will activate. The rapid response not only controls the fire but helps to reduce smoke and dangerous fumes. In some situations, the fire is even extinguished by the time the fire department is on site. Judd Fire Protection is dedicated to protecting you by providing expert design and professional installation. 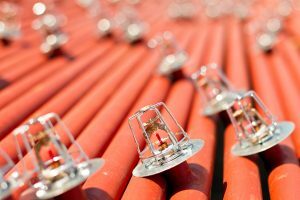 We offer regular inspections and maintenance to ensure your sprinkler system’s reliability. Whether you’re building a new home or updating your existing house, having a comprehensive sprinkler system installed is a decision you won’t regret. Call Judd Fire Protection today to discuss how we can start protecting you!